Advanced Dermatology P.C. and the Center for Laser and Cosmetic Surgery (New York & New Jersey) is a premier medical practice with 20+ locations throughout Long Island, Queens, Brooklyn, Manhattan, Westchester, and Ridgewood, NJ. We provide the widest range of medical, laser & cosmetic dermatology and plastic surgery services in the NY Metropolitan area and at our NJ office. We are proud to own more dermatological lasers than any hospital or medical practice on Long Island. Each board certified physician in our practice is recognized as an expert in his or her specialty. Collectively, they are active lecturers, media guests, authors and researchers. Joshua L. Fox, M.D. 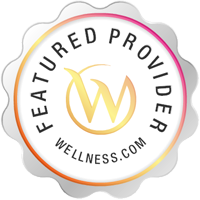 is the Founder and Medical Director here at Advanced Dermatology P.C. and the Center for Laser and Cosmetic Surgery. He is a leading authority in the field of dermatology with expertise in skin cancer, cosmetic surgery and laser procedures. Dr. Fox and each of our physicians offer unique insight and advanced solutions for medical, cosmetic and laser dermatology treatments. They are the professionals with everything you need to love your skin. 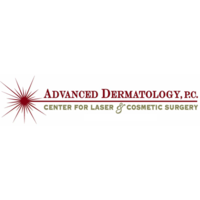 Services Advanced Dermatology, PC provides dermatology services in Franklin Square, NY. A Dermatologist is trained in skin care. A dermatologist is concerned with maintaining healthy skin, nails and hair as well as diagnosing and treating skin conditions and diseases. They also correct disfigurements, blemishes and scars. You might see a dermatologist for acne, or see a dermatologist for dermatitis. Please call Advanced Dermatology, PC at (516) 206-0246 to schedule an appointment in Franklin Square, NY or call for more information.